No matter within which subject your expertise are, you can still earn money from home writing articles. 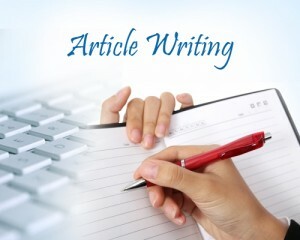 As long as you are a good writer in your own field, you can earn money by writing articles to people. Either email them the article once completed or participate in their website. Many business or website owners know keeping their website updated will increase their website traffic, however they either have no time or can’t write good relevant articles. This is why they hire people who can write on their behalf. Google for example “article writing job about health and safety”. Search on Facebook for communities, groups or websites about similar business that you are good at and ask them. that you are writer in the same subject. Post a profile and describe your expertise on freelancing websites such as freelancer.com, guru.com, odesk.com. Write an eBook and sale it online on amazon and ebay. How much can I make writing articles? This depends entirely on your experience, there are people who make between $2 to even $50 per single hour. I love writing articles but sometime I find it very boring, it pays anyway.